60 - 70% of all real estate properties are over-assessed. Less that 2% of those property owners ever appeal their over-assessment. Kansas property tax appeals and related issues are a key focus of Tax Adjustment Specialists, Inc. Tax appeal services provided include real estate appeal filing, site inspection, data gathering, area preparation and hearing representation. Our commercial property tax consultants determine the most advantageous route of appeal and proceed through all informal and formal administrative hearings. In cases with a legal basis for further appeal, TAS is qualified to recommend and facilitate litigation. learn more about what you can do! 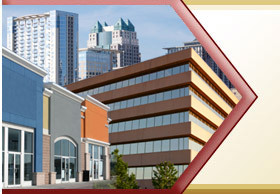 Click here to see how we've helped countless others increase company profits through our property tax appeal services! Kansas Property Taxes are the largest single corporate expenses that businesses must endure. The quickest way to immediately increase company profits is to appeal overstated/incorrect property tax values. ©2015 Tax Adjustment Specialists, Inc. – All rights reserved.